If you ask me (and I am pretending that you did), third grade is the BEST grade to teach! Third graders are still young enough to love school, love their teacher and get excited over simple things like coloring. However, they are old enough to be independent workers and thinkers. Most third graders know how to read and are now learning to love to read. Third graders are eager to learn multiplication and cursive handwriting. It is a year of huge growth both academically and socially. Seriously, it is the BEST! 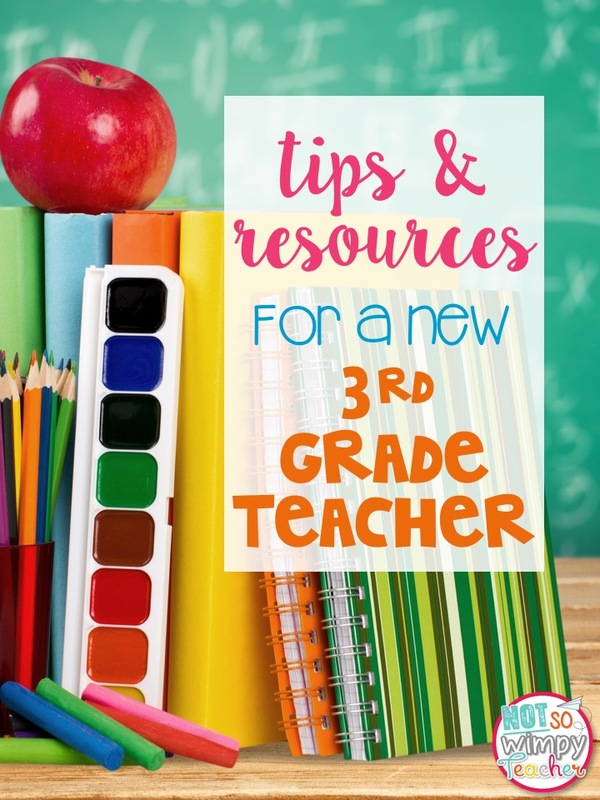 Did you know that I have a Facebook group that is dedicated to all things third grade? Well now you do! It is a great place for third grade teachers to ask for advice! If you teach third grade, and would like to join, click on the banner below. I recently asked the group what tips they would give a brand new third grade teacher. I have mixed some of their tips with some of my own! I hope this helps! Read to them! #everyday Read chapter books Read picture books. Introduce them to lots of authors series and genres. One of the greatest joys of third grade is helping students to find their love for reading. I blogged about my very favorite third grade books. Click HERE to see the list. Third grade mathematicians still need manipulatives and pictures. Don't be scared to spend lots of time with base 10 blocks, fraction bars, number lines, etc. Algorithms should not be the focus until students have a very strong grasp on the strategies and meanings behind the skills. Third graders still like to be rewarded for positive behavior and academic growth. They are still kids and they like stickers, positive notes, compliments and brag tags. Are you ever too old to like being told that you are rocking it?! Plan to spend LOTS of time teaching and practicing rules and procedures at the beginning of the year. If you do, third graders can be very independent! Centers work well in third grade because they have more stamina, focus and independence than the younger grades. Just don't rush into curriculum without teaching the expectations thoroughly! Click HERE to read about some fun ways too practice routines and grab some freebies! 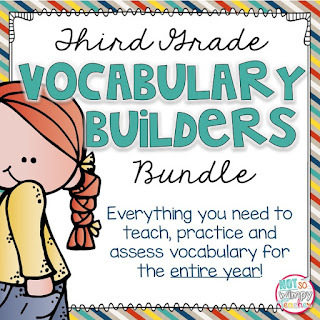 Teaching vocabulary is a must in third grade. Explicit vocabulary instruction will help your students in reading comprehension, writing and on standardized testing. Check out the post below to see the routine I used to teach tier two vocabulary with only ten minutes per day. 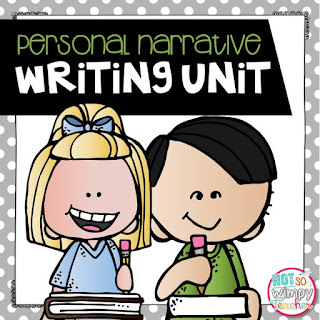 Third graders need regular writing instruction. They need mini lessons that focus on the craft of writing. Simply asking them to write in a journal is not enough. In the post below, I explain how I run my writing workshop. If you looking for more tips for teaching writing (and free lesson plans, anchor charts and rubrics), you might want to sign up for my free writing workshop email course. Click on the photo below to learn more. I love that third graders are able to really dig deep into text! I spend quite a bit of time teaching students to respond to text because I think it leads to huge growth in comprehension. 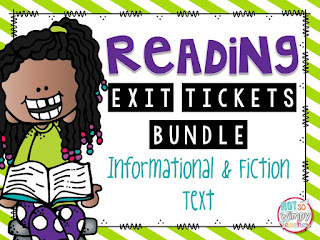 If you click on the blog post below, I share tips for teaching your third graders how to write about text. I have found that book clubs are one of the easiest ways to teach and practice reading standards while helping to grow your students' love for reading. If you click on the blog post below, you can read about my tips for implementing book clubs. If you make math fun, your third graders will beg for more math! I am not kidding! If you want to read about some ways to make math fun for third graders, click on the post below. The best thing I ever did for my students was to implement guided math and centers. I start by teaching a mini lesson using our curriculum and then we move into centers. I am able to move fast during the mini lesson, because I know that I don't have to teach as the speed of my lowest learners. I will be able to meet with them during guided groups to help fill the gaps. It's so powerful! 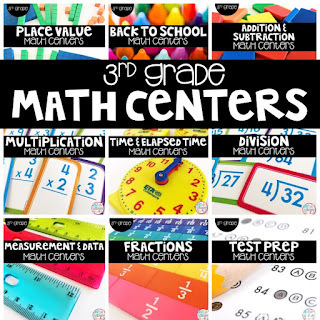 If you want to learn more about how I manage my math center time and how to get them started at the beginning of the year, click on the picture below. to read my math center blog series. As a third grade teacher, you will be spending lots of time teaching multiplication. PLEASE spend tons of time teaching strategies before you ask students to memorize facts! Familiarize yourself with different ways to model or represent multiplication facts. I find that it helps to give third graders several tools and then allow them to use the strategy that works best for them. 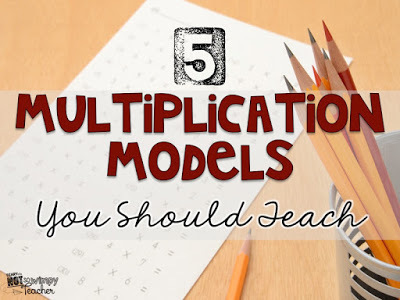 Check out the post below for a list of my favorite multiplication models. I make so many resources that work really well in the third grade classroom. I hope that they will save you lots of time and help you to provide meaningful and engaging lessons. Here are a few of my very favorites. Welcome to third grade! I just know that you will love it and your third graders are lucky to have you!